This large wall clock adds a beautifully rustic, retro element to your home decor, hints of the industrial and a wonderful addition to any living room or hallway. Bold Roman numerals highlighted with the wooden Roman numerals and surrounded with a black metal frame. The hour and minute hands are finished in an antiqued gold finish that adds to the stunning effedt. 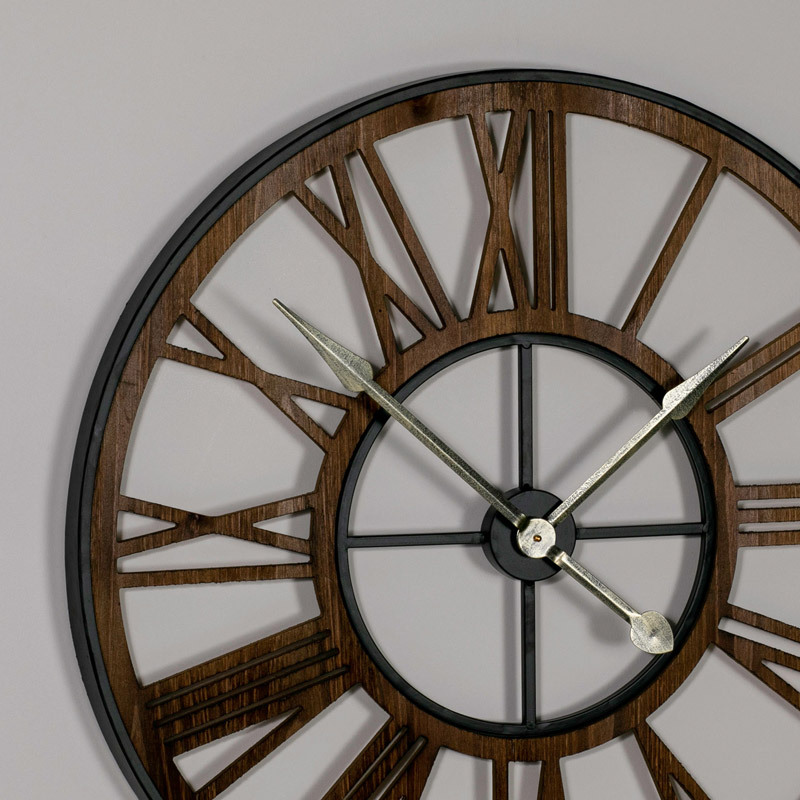 This clock is the perfect accessory for your home and will complement your home beautifully. This large wall clock adds a beautifully rustic, retro element to your home decor, hints of the industrial and a wonderful addition to any living room or hallway. Bold Roman numerals highlighted with the wooden Roman numerals and surrounded with a black metal frame. The hour and minute hands are finished in an antiqued gold finish that adds to the stunning effedt. 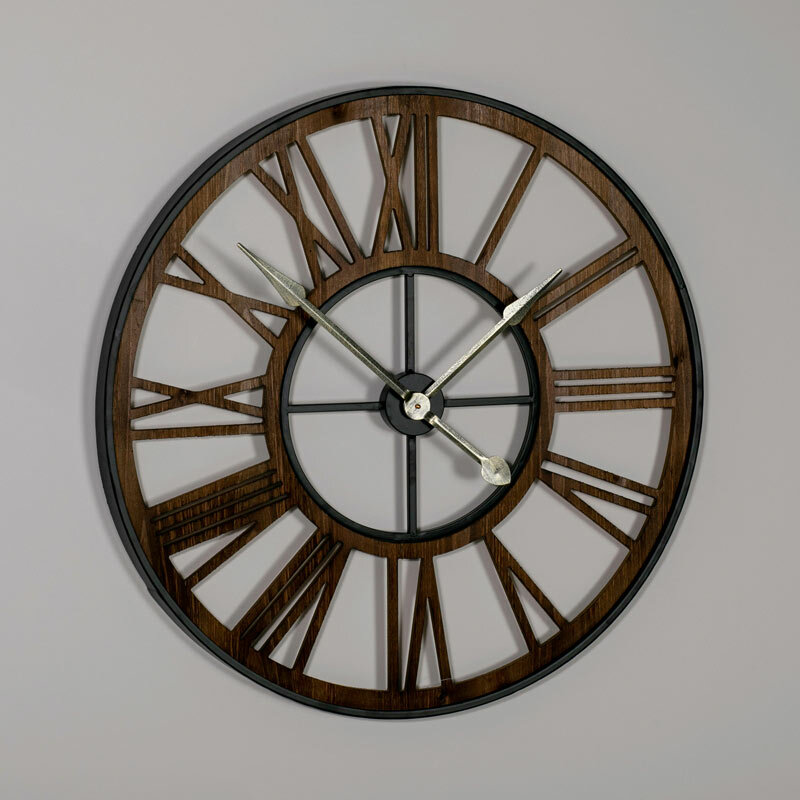 This clock is the perfect accessory for your home and will complement your home beautifully. Sturdy metal frame encircles the wooden numerals to create a unique look. Easily wall mounted with a hook on the back for hanging, takes x1 AA battery (not included).